Fibromyalgia Explained - What is Fibromyalgia? Fibromyalgia is one of the most common, painful problems to afflict Americans (It is also found worldwide!). If you have Fibromyalgia the chances are that one of your friends or relatives will too, or they will at least know someone else with fibromyalgia. Just in case you don’t know the symptoms of fibromyalgia (FM) you will have to understand that FM is total body disorder. So many areas are involved that it is difficult to list them all here. Pain: Patients with FM have chronic, widespread pain, and often tell us they feel they are holding on by a thread. It may be aching, burning, stinging or tingling. It is often deep, but can also be on the surface. It usually involves soft tissues, but may also involve joints. Even though many Doctors believe that FM is painful only in specific tender points, FM patients actually hurt all over their bodies. Chronic Fatigue: This is one of the most common complaints. It is never really relieved by rest. Thinking Problems: FM patients often complain of problems with their short-term memory and ability to pay attention. Irritable Bowel Syndrome: Many FM patients have complaints of IBS (click here and enter the words "Irritable Bowel Syndrome" if you want to learn more about IBS). Depression and Anxiety: Many FM patients are depressed and anxious. This is usually (but not always) due to a side effect of being in pain so long. Chronic Headache: In our experience, about two of every three FM patients have a history of severe headaches, and one of every three has a history of migraine. Sleep Disorders: Most FM patients have a history of insomnia despite their chronic fatigue. Most describe awakening at night because of being so uncomfortable in bed. Subjective Swelling: Many, if not most, FM patients describe having swelling of their extremities. Most physicians will not be able to confirm this with any standard test. Dr. Caro was amongst the first researchers to call attention to dry eyes and dry mouth in FM. He was the first to describe LR. Most FM patients also notice stiffness in the morning, weather modulation of their symptoms, and sensitivity to cold environments. Most also notice that they are very sensitive to most sedative and hypnotic medications, often only able to take a fraction of the dose that other patients might take. Even though most Doctors do not think they know what is wrong with patients who have Fibromyalgia, Dr. Caro has the strong sense, from his research and clinical experience, that it is related to a disorder of the immune system. In fact, one of the first things Dr. Caro will do when examining a Fibromyalgia patient is to look for evidence of an underlying autoimmune disease (definition of autoimmune disease). As of June 2008 there were over 200 papers in the medical literature (these are papers written by scientists) about the connection of Fibromyalgia and the Immune System listed at PubMed (the Government site for scientific papers). You may see these free of charge by going to PubMed yourself by clicking here, and type in the word Fibromyalgia and the word Immunology. If you would like to see Dr. Caro’s contribution to this field just type in Fibromyalgia and Caro X. Despite all of this evidence of immune disorders, the leading theory, among most Doctors as to the cause of the pain in fibromyalgia is the problem of Central Sensitization. This is supposed to be where the Brain and Spinal Cord (click here for an article about the spinal cord visit) become overly sensitive to pain and even normal touch. There are over 90 papers at PubMed on this subject. Dr. Caro thinks that most doctors believe in the theory of Central Sensitization because Doctors are not usually able to see anything wrong in the tissues of patients with fibromyalgia. This often leads to multiple tests, unnecessary treatments, and even surgery for fibromyalgia patients. The result is a frustrated patient and a frustrated Doctor. The way around this, Dr. Caro thinks, is to test using different ways and to biopsy – when necessary – tissues that most Doctors would not think of, like skin (more about that later). Which of These Theories is Right? To Dr. Caro’s way of thinking these two theories are not mutually exclusive (that is, both could be right to some extent), though he does strongly feel that the immune system is the prime mover in fibromyalgia. What Should I Expect From My Evaluation By Dr. Caro? Dr. Caro understands that most fibromyalgia patients and their families think of recovery as a tough climb, but he tries to assure his fibromyalgia patients that many have made it before them. Recovery may not be easy, but recovery can – and usually does – happen. Dr. Caro has an overriding philosophy that comes down to this: He considers himself to be in a partnership with his patients. He wants them to actively participate in their care, even guide it to some extent. He is their advisor. Since we recognize fibromyalgia as a multisystem disease (that is, a disorder affecting many different areas of the body) you can expect Dr. Caro to conduct a very thorough history taking (that may easily go back to your childhood) and physical examination. Since so many areas of the body are affected please expect that the Doctor will probably want to examine your eyes, ears, and throat, and listen to your heart and lungs, examine your abdomen, and make measurements of your nervous system, in addition to examining your muscles and joints. Many patients say they have never had such a thorough examination. The entire process of history taking, which the Doctor performs himself, and physical examination takes about an hour, so plan your time accordingly. Since Dr. Caro feels it is his duty to teach you about what is wrong you can expect a detailed explanation from him personally regarding your condition and what your options are at your very first consultation. He may outline tests that he feels may benefit you, and give you an idea about what therapies might be open to you. Don’t be surprised if he recommends some form of treatment starting the day you meet him for the first time. It is likely that the Doctor will want to order a series of laboratory and related tests. These may include one or more of the following (this list does not pertain to all patients and is listed here only so that you can see some of the things needed to figure out fibromyalgia). Blood Drawing: These may include standard testing that your personal physician or internist might have drawn already (in which case Dr. Caro can skip these). But, it likely that many of the test that Dr. Caro will order are meant to test your immune system. These tests go by the name of sedimentation rate (a measure of inflammatory change in your blood), anti-nuclear antibody (for a description of ANA click here), rheumatoid factor (a measure of your tendency to develop an immune disorder called rheumatoid arthritis), and similar names. If any of these show positive results (that is, they show a tendency to that problem) then Dr. Caro will explain that to you at your second visit. 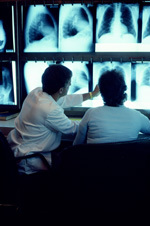 X-rays: It is common for Dr. Caro to want to examine the skeleton, since it often offers a clue as to the problems behind your pain, or may even be the cause of the pain in some regions. It is also common for the symptoms of fibromyalgia to be made worse by underlying wear and tear of the bones (known as osteoarthritis). 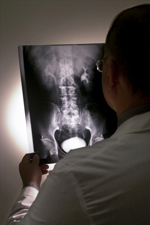 Bone Density Scanning: Dr. Caro may need to order bone density testing if he feels that you are at risk for osteoporosis, a disorder that often complicates women’s later years (click here for a description of osteoporosis). Brain or Other Scanning: At times Dr. Caro may need to order special scans of the brain (an organ that takes a lot of beating in fibromyalgia). 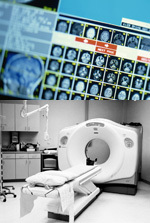 These might include Magnetic Resonance Imaging (MRI), functional scanning with SPECT, or electrical mapping with Quantitative Electrical testing (QEEG; quantitative electroencephalogram). Brain Attention, Intelligence, and Psychological Testing: Dr. Caro believes in the concept of Psychoneuroimmunology (PNI), which is the interaction and communication between the brain, the nervous system and the immune system, a well respected area of immune function that he believes is important to fibromyalgia (click here to see an explanation of PNI). Dr. Caro is frequently trying to get the brain out of the box. By this he means that he is trying to see what the functioning of the brain and other nervous system parts are like in their talking to the immune system. He may request certain brain testing on you if this area is one of your complaints. Helping these areas, Dr. Caro has found, frequently adds to your recovery. To help with this evaluation of the brain Dr. Caro may eventually ask you to undergo functional brain testing. This may consist of Tests of Variables of Attention (TOVA) or even computer based intelligence testing if your case seems to warrant it. You may speak with Dr. Caro about all of this when the time seems appropriate. Electrical Testing of the Nerves: If Dr. Caro finds evidence of nerve damage in your arms and/or legs he may ask you to undergo standard electrical testing of these nerves. Dr. Caro uses local specialists in the area of such studies to help him with this. Biopsy Procedures: In some cases Dr. Caro may feel it important to try to sample (biopsy) tissues to help in the diagnosis of fibromyalgia or any underlying autoimmune disease, or use in the design of proper therapy. 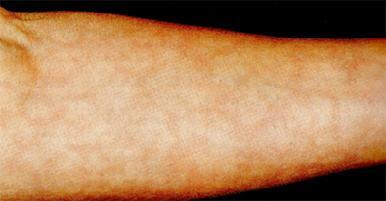 Punch type skin biopsies are often all that is necessary, and are usually done in the leg area. They are usually 3 mm in diameter (about 1/8th of an inch), and about 2 mm deep. There are very few, if any, risks to a skin punch biopsy, although we have seen an occasional patient who failed to mention, or did not know that they were allergic to adhesive tape used to cover the biopsy site. Click here to access a patient handout regarding punch skin biopsies from the American Academy of Family Practice. Muscle and nerve biopsies are rarely indicated, but are sometimes used to evaluate fibromyalgia patients if they have signs suspicious of true muscle or nerve inflammation. Dr. Caro and his colleagues have shown that the nervous system (the system that feels pain) is inflamed in Fibromyalgia (see paper regarding nerve inflammation in Fibromyalgia). If you have trouble understanding this paper bring up your questions to Dr. Caro who will try his best to answer them. Sub-consultation with other physicians: Dr. Caro frequently works with other physicians regarding his patients. At times Dr. Caro may even feel that you would benefit by a direct consultation with one of these Doctors. If that is the case Dr. Caro will usually ask your personal Physician to comment regarding the choice of that sub-consultant. Even though many of our patients come to see Dr. Caro with great hope, they often express skepticism about treatment because they have been disappointed so often in the past. While we offer no guarantee regarding successful treatment we do point to our many success stories from past patients and ask that the average patient at least “give us a chance.” We don’t often fail. Although the therapy options open and necessary to our patients is so vast as to defy listing here we are pleased to say that all of the medications used by Dr. Caro are standard medications used by rheumatologists and immunologists in the treatment of immune related diseases. Further, Dr. Caro always tries to educate his patients about the pros and cons of using these medications whenever he uses them. Once you have reached the point of starting therapy you can expect Dr. Caro to monitor your progress and make adjustments according to your progress. Watch this website in the future for more detailed descriptions regarding therapeutic options in fibromyalgia.